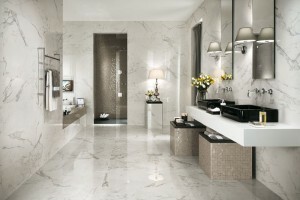 There are many different ways to mix and match tiles and once you view the options available it can be mind dazzling. Check the article complete here. 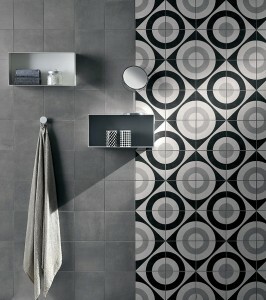 There are many different ways to mix and match tiles and once you view the options available it can be mind dazzling. Before you head out shopping for tiles, it’s a good idea to come prepared and have some thoughts on the bathroom look you are wanting to achieve. A great place to get inspired is looking through interior magazines, reading online blogs and scrolling through the endless bathroom designs on Pinterest and Instagram. Once you have decided on your perfect bathroom style, just apply a few simple rules and you’re well on your way to creating your own bathroom bliss. If you’re wanting to achieve a timeless bathroom design, this is the look for you. Floors and walls are draped in the same colour tile, yet different sizes are used on the walls to break up the consistency and to create interest and intrigue. 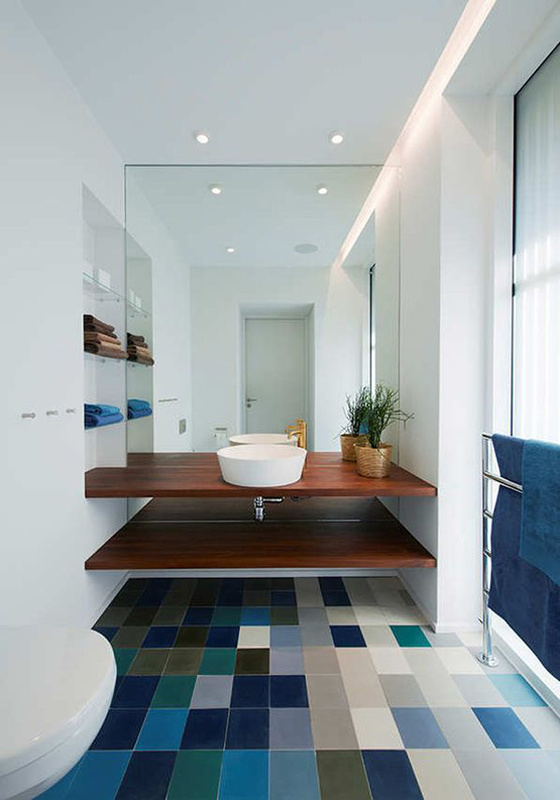 This is an effective way to get creative with your tiles and make the floor the hero of the space. 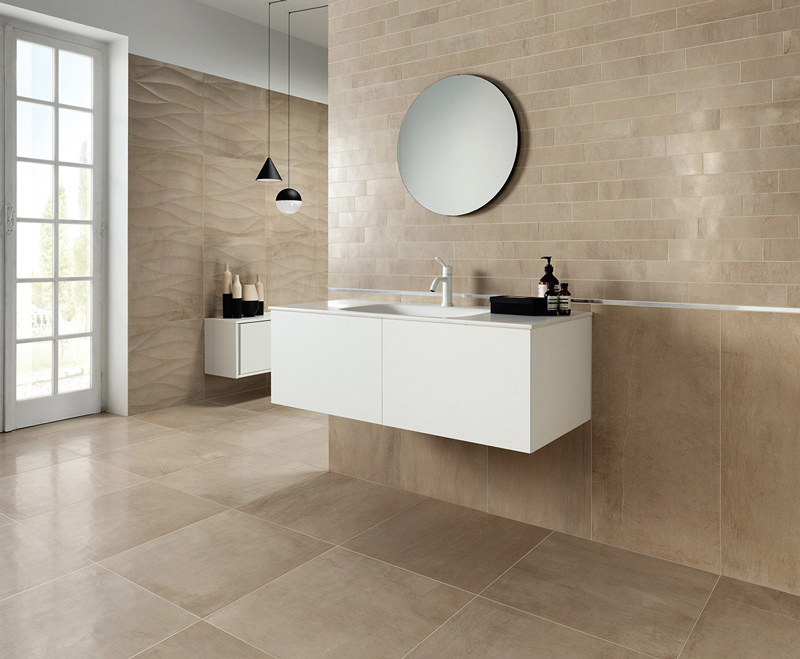 Wall tiles are kept plain and subtle allowing the floor to shine. Similar to above but in reverse. Wall tiles are the show-stopper in this bathroom style and floor tiles are kept neutral and plain in colour. 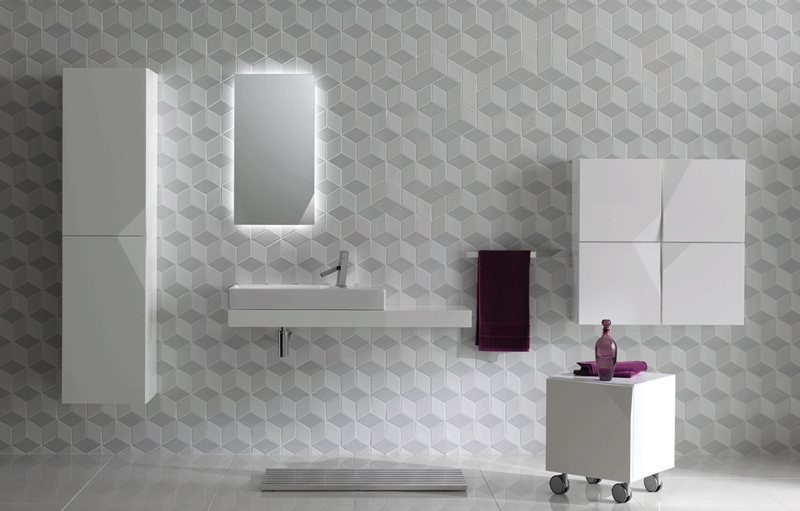 Geometric tiles can make quite the statement in a bathroom. Keep colours white to create boldness yet remain elegant and sophisticated. 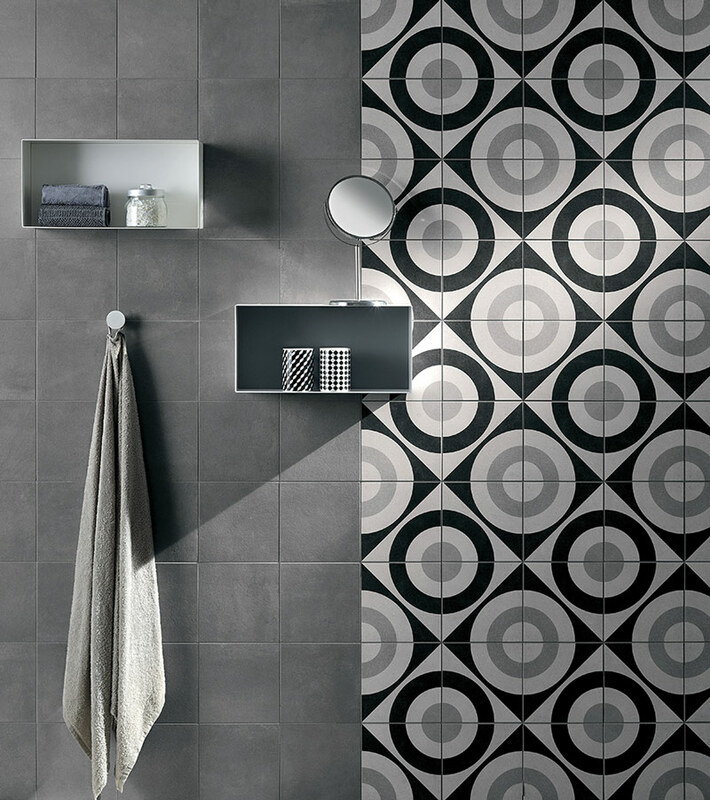 Inject some colour and creativity into your bathroom with stunning bright tiles. Colour tiles look best when balanced in the space and are mainly concentrated in one area. It doesn’t matter whether you have a small or big space to remodel. If you want to remodel it, you can do it. All you have to do is plan ahead and make sure you choose the right ideas before installing new tiles for your home.